She Caught The Bus and found a home. 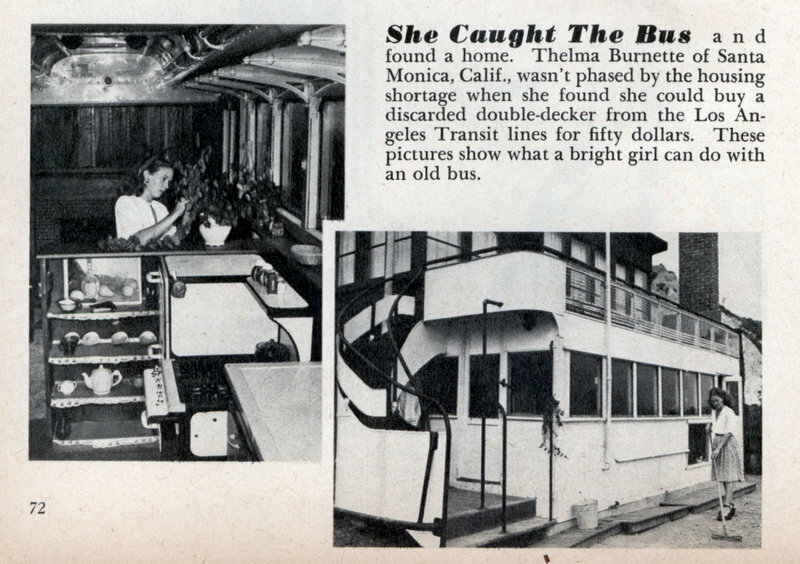 Thelma Burnette of Santa Monica, Calif., wasn’t phased by the housing shortage when she found she could buy a discarded double-decker from the Los Angeles Transit lines for fifty dollars. These pictures show what a bright girl can do with an old bus. 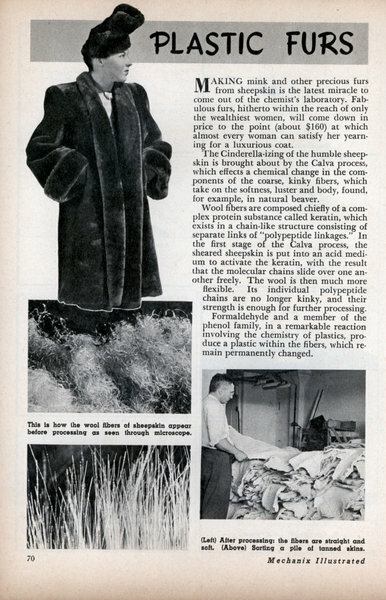 MAKING mink and other precious furs from sheepskin is the latest miracle to come out of the chemist's laboratory. Fabulous furs, hitherto within the reach of only the wealthiest women, will come clown in price to the point (about $160) at which almost every woman can satisfy her yearning for a luxurious coat. Electronic Hot Dog is the latest wrinkle as the machine at the right demonstrates. 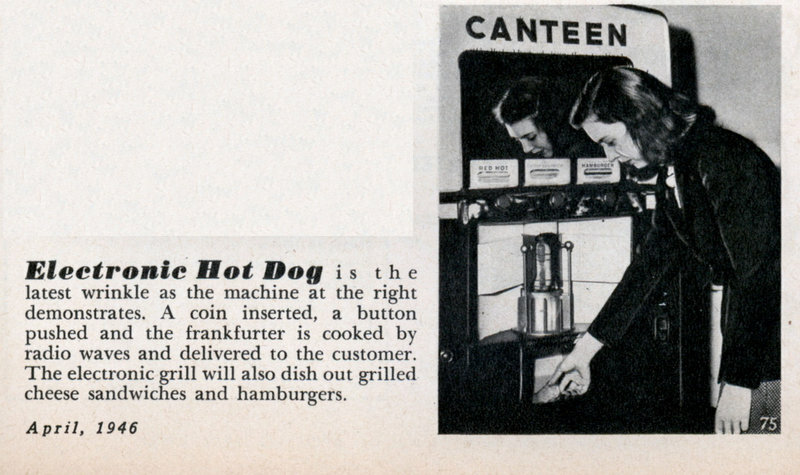 A coin inserted, a button pushed and the frankfurter is cooked by radio waves and delivered to the customer. The electronic grill will also dish out grilled cheese sandwiches and hamburgers. 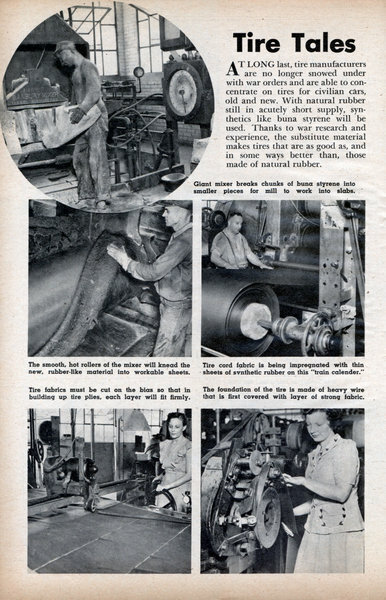 America was ready to give and take if the Axis had turned loose with the most inhumane of all modern weapons! 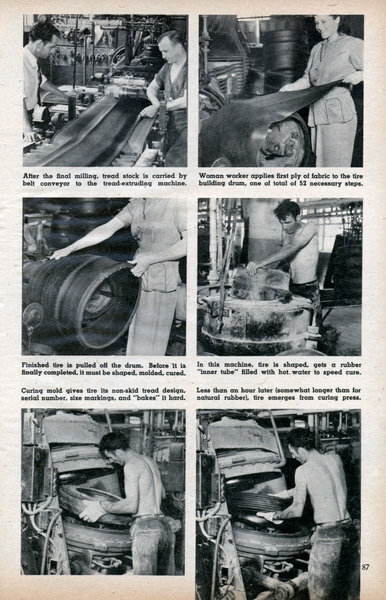 LOOK carefully at the pictures on these pagesâ€”if you've been wondering what we would have done in case the Axis powers had introduced deadly chemicals in the recent war. It seems fantastic, weird and remote, now that the shooting is over. 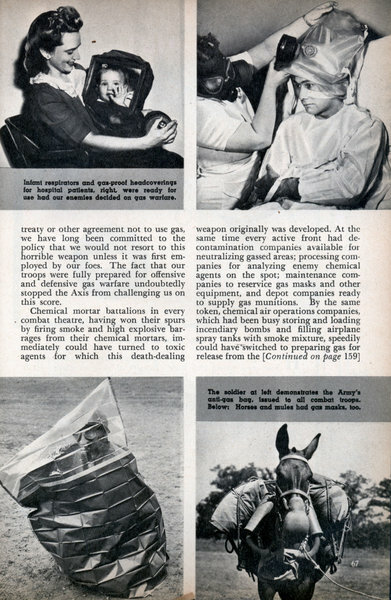 But here are the brutal facts, revealed for the first time by the Army's Chemical Warfare Service. It was alert and ready to retaliate in heaping measure had our enemies used gas. Although the U. S. is not a party to any treaty or other agreement not to use gas, we have long been committed to the policy that we would not resort to this horrible weapon unless it was first employed by our foes. 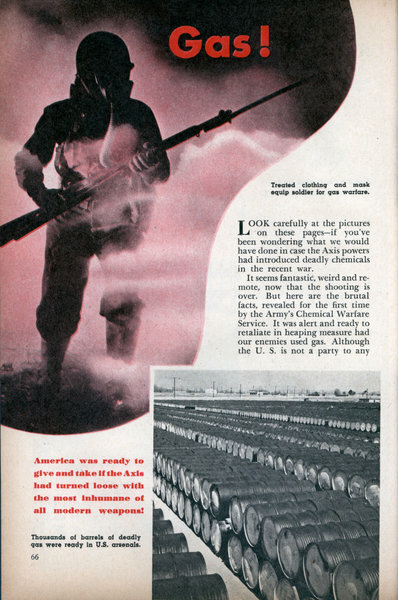 The fact that our troops were fully prepared for offensive and defensive gas warfare undoubtedly stopped the Axis from challenging us on this score. 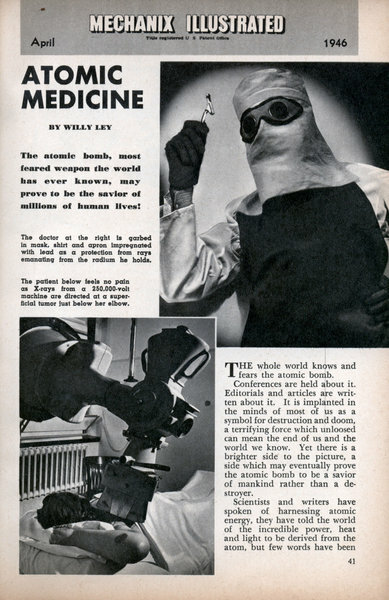 BY WILLY LEY The atomic bomb, most feared weapon the world has ever known, may prove to be the savior of millions of human lives! 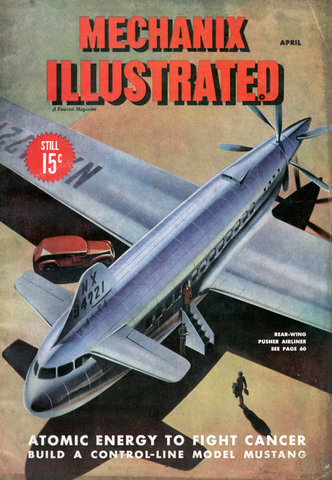 THE whole world knows and fears the atomic bomb. Conferences are held about it. 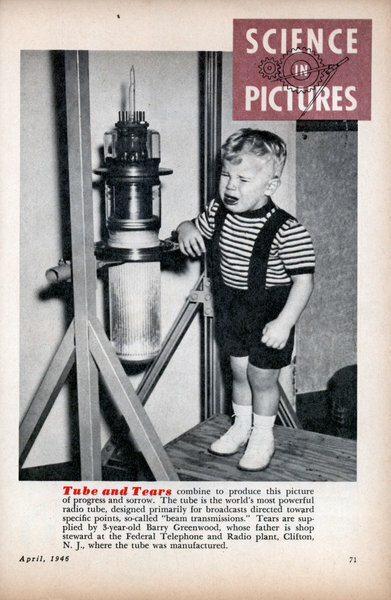 Editorials and articles are written about it. It is implanted in the minds of most of us as a symbol for destruction and doom, a terrifying force which unloosed can mean the end of us and the world we know. Yet there is a brighter side to the picture, a side which may eventually prove the atomic bomb to be a savior of mankind rather than a destroyer. Dissolve a few chemical salts in waterglass andâ€”presto! 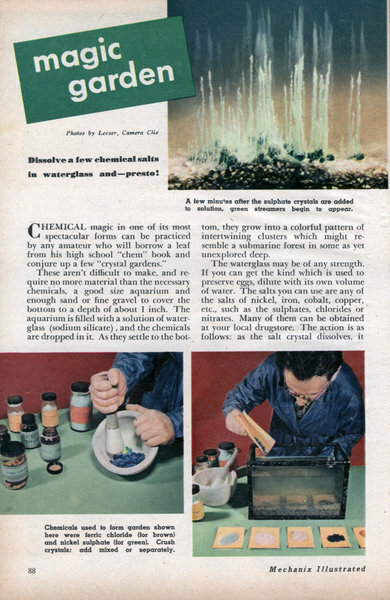 CHEMICAL magic in one of its most spectacular forms can be practiced by any amateur who will borrow a leaf from his high school "chem" book and conjure up a few "crystal gardens." 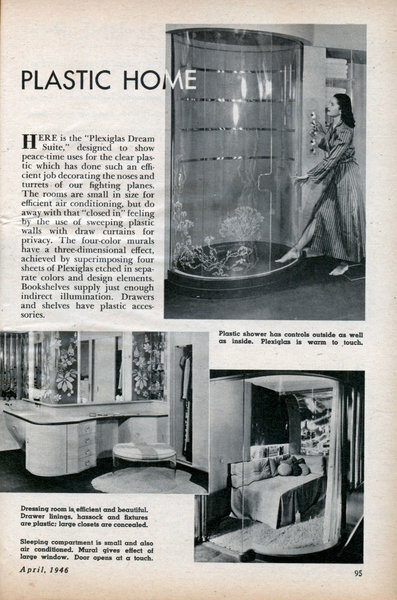 These aren't difficult to make, and require no more material than the necessary chemicals, a good size aquarium and enough sand or fine gravel to cover the bottom to a depth of about 1 inch. The aquarium is filled with a solution of water-glass (sodium silicate), and the chemicals are dropped in it. As they settle to the bottom, they grow into a colorful pattern of intertwining clusters which might resemble a submarine forest in some as yet unexplored deep.